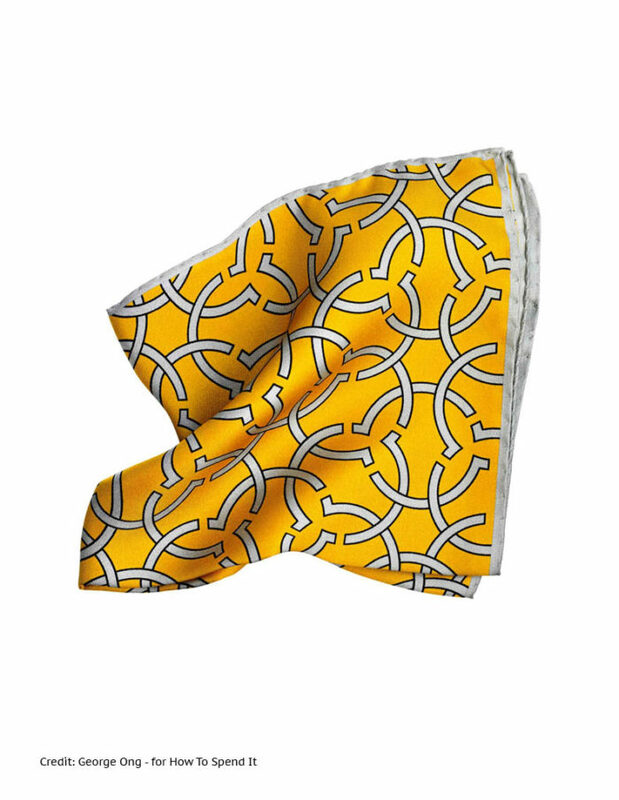 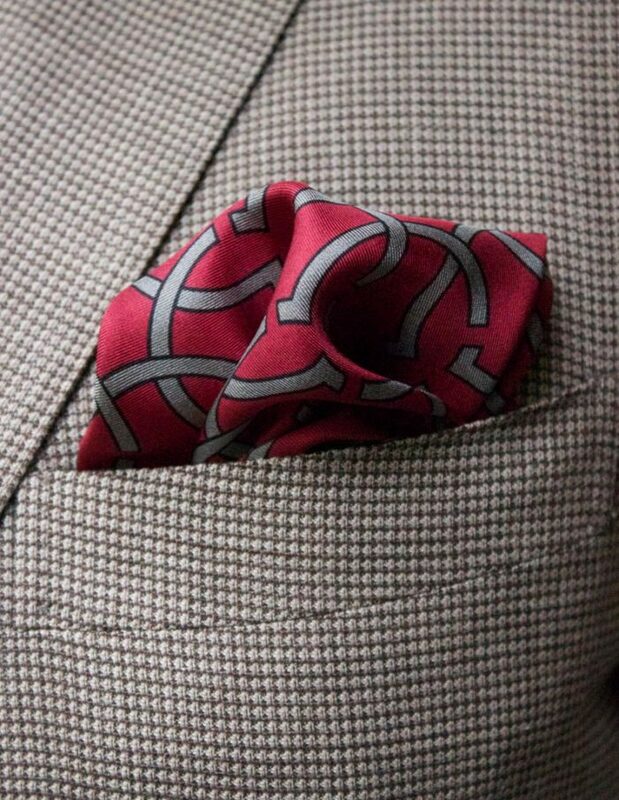 Fariba Soltani’s abstract motif’s have seamlessly migrated from silk and cashmere blend scarves to twill silk pocket squares. Made in Italy, this crimson red piece was hand-hemmed with silver trimmings. 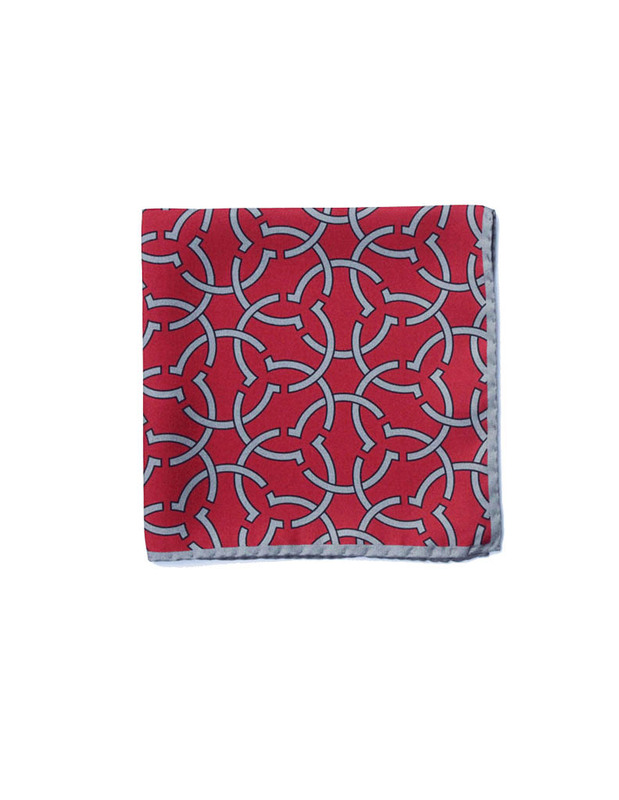 Its abstract silver links set against a red backdrop will complete your look.